It took three years of negotiations and one dollar for Kyrgyzstan and Russia to finalise the sale of Kyrgyz gas company KyrgyzGaz to Russian gas monopoly Gazprom. The contract for purchase and sale of the company, dated 10 April, was signed by Alexei Miller and the head of KyrgyzGaz, Turgunbek Kulmurzaev. The new company took the name KyrgyzgazGazprom. KyrgyzGaz is the first company to transfer 100% of its shares to Russia. Next in line to do so are torpedo manufacturer Dastan and the airports in Kyrgyzstan. Kyrgyz President Almazbek Atambayev had lobbied for the sale of KyrgyzGaz, saying that “the country needs gas, not KyrgyzGaz.” Alexei Miller, the CEO of Gazprom told journalists in Bishkek: “This is a historic day. Today we signed an agreement to acquire 100% of the shares in KyrgyzGaz. The Gazprom family has been enlarged as a result, and KyrgyzGaz is now part of a bigger company.” Under the terms of the agreement, Gazprom becomes the sole supplier of gas to Kyrgyzstan for the next 25 years. Miller promised a reduction in gas prices for Kyrgyz consumers and said programmes for investment and other needs would be developed jointly with the Kyrgyz government. Gazprom will allocate 20bn rubles to modernise the network of gas delivery, and he also promised to pay off $40m USD in KyrgyzGaz debt. Miller added that Gazprom plans to explore Kyrgyzstan’s gas fields. “Right now, gas extraction in Kyrgyzstan is not substantial,” he said. “The task of ensuring that the country has its own gas is obviously a worthy one. We will begin exploratory work in the fields in the near future, and our job is not only to ensure uninterrupted gas supplies but also to raise the level of gasification in the country.” By his estimate, gasification in Kyrgyzstan stands at only 25%. However, the Gazprom boss does not think Kyrgyzstan will become dependent on the Russian behemoth. “Economic stability is the main thing. When people have a supply of gas and heating, they have faith in their own future. Gazprom is a socially responsible company. It will undertake large-scale investment projects, but not exclusively those types of projects. 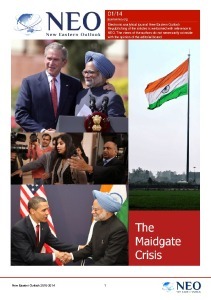 It will also partner with the leaders of Kyrgyzstan to implement important social programmes,” Miller noted. So why did Kyrgyzstan agree to sell a strategically important state company? The answer is simple. Its gas delivery network is in deplorable shape and requires huge capital investment. The country is strapped for cash and had no other means of funding. During the 22 years of Kyrgyzstan’s independence, KyrgyzGaz has only fallen further into disrepair. Instead of becoming profitable, the company incurred losses that were covered by the national budget. Misappropriated company funds paid for mansions and cars and were stashed in overseas bank accounts. Consequentially, payments to suppliers were routinely delayed. The embezzlement at all levels of the organisation had a number of logical consequences. Customers endured frequent service disruptions, the company became indebted, the infrastructure deteriorated and the number of gas related accidents increased. The continual payment delays caused Uzbekistan, the sole supplier of gas to Kyrgyzstan, to cut its supply at first and then turn off the tap completely. Bishkek then approached Moscow with an offer to sell shares in KyrgyzGaz. The sale of this strategic company thus arose primarily from concerns about energy security. The chair of the economics department of the Institute of Countries of the CIS, Dr. Aza Migranyan, believes that Gazprom will help distribute energy in Kyrgyzstan. If Gazprom is to make good on its promise to supply gas to Kyrgyzstan at a lower price, then it will have to take a number of steps. Gazprom’s ownership of the delivery system allows it to take advantage of certain features of the supply chain. The company could supply Kyrgyzstan with Uzbek gas and pay Tashkent for the gas using a mechanism that reciprocally offsets the charges. That could make supplying energy to Kyrgystan cheaper. Those are the considerations that led to sale of KyrgyzGaz. 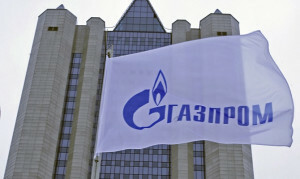 From Gazprom’s standpoint, the purchase of KyrgyzGaz cannot be viewed as a good deal for the company. Gazprom certainly receives no strategic advantage from the transaction. The Russian monopoly will not receive any dividends from its ownership of KyrgyzGaz’s assets in the near future. That will apply even if Gazprom’s managers reduce the pillaging of company assets to an acceptable level and succeed in securing payment from consumers. “The gas delivery system and the Kyrgyz shares have no value if we look at them on a regional scale. They will only allow Kyrgyzstan’s own issues to be addressed. 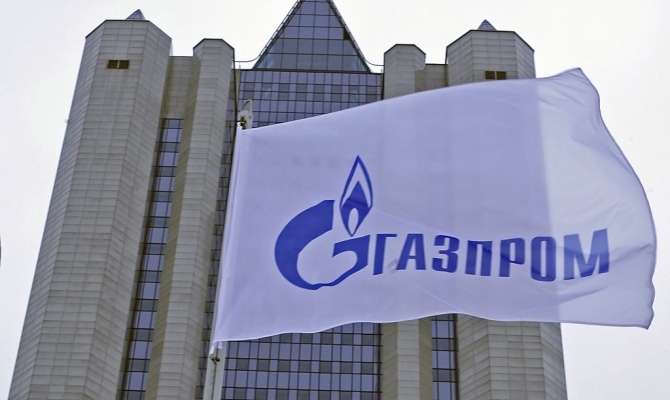 For now, it can be said that with this acquisition, Gazprom resolves technological issues, which will allow it to meet some of its obligations under intergovernmental agreements between Kyrgyzstan and Russia,” Migranyan noted. However, not everyone in Kyrgyzstan is satisfied with this transaction. Opponents of the government worry that if Kyrgyzstan’s strategic resources become Russian property, the country could lose its sovereignty. So the transfer of shares in the Dastan torpedo factory, whose output is vital to the Russian army, has been discussed for years. During the Soviet period, Dastan specialised in the production of the high-speed VA-111 Shkval torpedo. This torpedo had a unique array of characteristics, and no other country produced anything like it. Between 1999 and 2000, Russia and Kyrgyzstan jointly developed a modified version of the torpedo, the Shkval-E, for export. It was designed to be placed aboard surface-going ships and enable coastal batteries to deal with targets on the surface. Russia has been trying to gain control of the Dastan plant since the beginning of the 1990s but has not succeeded. Authorities in Kyrgyzstan realised how badly Russia wanted the facility and sought to get the best deal possible. 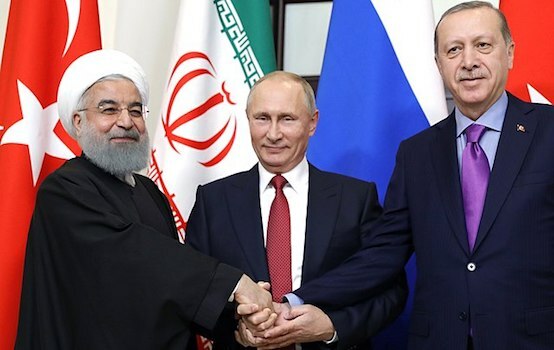 They occasionally pressured Russia by threatening to sell the plant to Turkey instead. Recall that in 2009, former Kyrgyz President Kurmanbek Bakiyev reached agreement with his Russian counterpart at the time, Dmitry Medvedev, to write off $180 million in debt in exchange for 48% of the shares in Dastan. However, the deal did not go through because Bakiyev’s son, Maxim Bakiyev, received an additional share issue through proxies. As a result, the minority shareholders’ control was reduced from 12% to 1.5%. Maxim Bakiyev acquired control of the company and took a chunk from the predetermined Russian stake, knocking it down to 37%. The Russian parliament refused to ratify the agreement, and a provisional government headed by Roza Otunbayeva began investigating abuses committed during the sale. The issue returned in April 2012, when Moscow submitted written proposals to Bishkek seeking to amend earlier agreements between the two governments. Specifically at issue were the Dastan plant and Russian participation in the construction of hydroelectric facilities in exchange for the cancellation of Kyrgyzstan’s debt. However, Bishkek decided to make the shares in the Dastan plant available to all interested investors. The Kyrgyz opposition is now clamoring about the sale of a number of the country’s airports. These include Manas International Airport, which the country cannot afford to maintain once the American base stationed there is withdrawn. The Russian state oil conglomerate, Rosneft, is interested in these facilities and aims to acquire a controlling stake in the company that controls all of Kyrgyzstan’s civilian airports. Rosneft is targeting Mezhdunarodny Airport Manas (in English, the Manas International Airport Company), which is named after the largest facility under its control. In addition to Manas Airport, which is situated near Bishkek, the company controls 10 smaller airports, most of which are not currently in operation. On 10 April, the opposition met in Bishkek to discuss ways to prevent the sale of Kyrgyz companies to other countries, particularly Russia. Aza Migranyan said, “It is impossible for a country to lose its independence if part of its financial assets are transferred because these assets are dictated by intergovernmental agreements, in this case between Kyrgyzstan and Russia. There is no threat of the country losing its economic independence. Only the loss of financial independence can be grounds for actions that culminate in a genuine loss of state sovereignty. These factors are not related politically in any way.” According to her, “The meeting was populist and had political overtones.” Over 20-plus years of independence and sovereignty, Kyrgyzstan has failed to fundamentally resolve these issues and put its assets to better use. Unfortunately, none of the potential foreign players demonstrated an interest in such investments in the country. “In addition, Kyrgyzstan, like the rest of the world, exists within a system of market relationships. When we speak about these relationships, it is necessary to understand that the benefits and advantages gained can never be one-sided. The creditor’s assets must always be secured somehow. Furthermore, no state, including Russia, will forever subsidise another,” said Migranyan. However, the main motive behind the acquisition of Kyrgyz enterprises by Russia lies not in the financial but in the geopolitical sphere. The purchase of at least part of Kyrgyzstan’s infrastructure allows Russia to strengthen its influence in the whole region, and more specifically, in Kyrgyzstan. This may help slow the growing momentum of China’s economic expansion in Central Asia. Victoriya Panfilova, observer of the Nezavisimaya Gazeta, exclusively for the online magazine “New Eastern Outlook”.